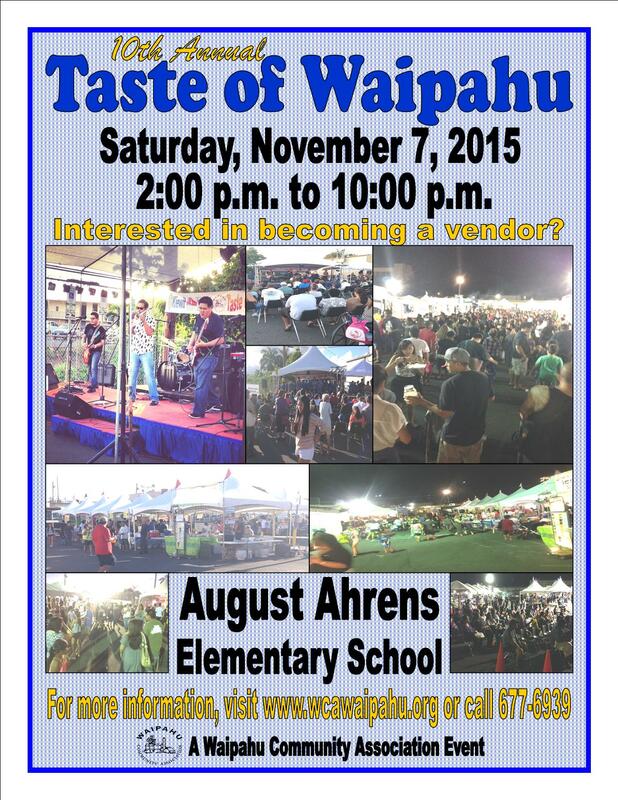 We are in search of food and product vendors that would like to participate in this year’s event. If you are interested, please click on the links – Application & Contract below, read through thoroughly, complete, sign and return to us as soon as possible. Booth spaces are confirmed on a first come, first served basis when payment in full is received. Keep in mind that WCA strives to not duplicate vendors menu’s. Should you have any questions or concerns, please call 677-6939 or email wca.waipahu@hawaiiantel.net.